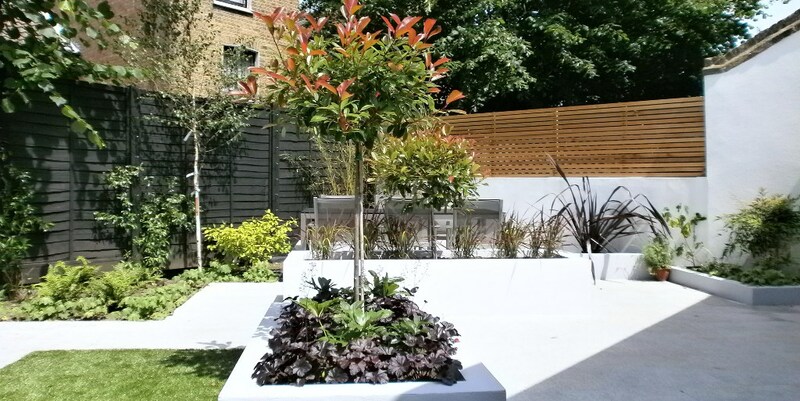 The clients wished for a very modern appearance with this garden in Clapham. The garden is over looked by full length glass bi fold doors across the entire rear of the house and wider than it was long. Garden dimensions : 11m x 5.5m approx. The challenge for this design was to fit all of the clients brief into the garden whilst still looking great from the living areas of the house.